Chase Whiteside Archives - Joe.My.God. New Left Media’s Chase Whiteside (who is one of us) gave Rally For Sanity attendees the same opportunity to explain themselves that he gave to the teabaggers at Glenn Beck’s rally. 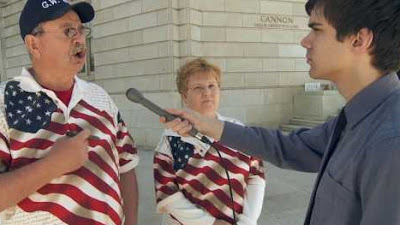 Here’s more from Whitestock 2010, courtesy of intrepid New Left Media reporter Chase Whiteside, who released this clip in response to Tea Party claims that his first clip was “selectively edited” to show that teabaggers are idiots.